November had quite an accelerating feel to it. 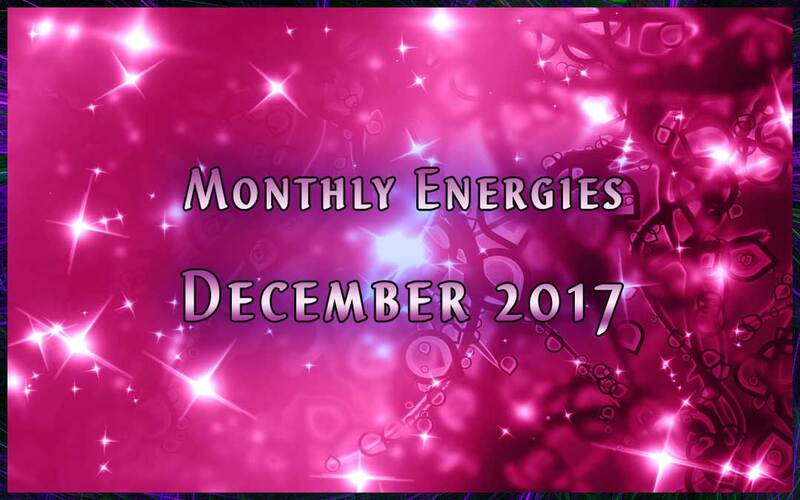 December will feel similar, though in general these months (I feel this in January as well) have an integration energy to them. There was a lot of change, especially internally, throughout 2017. November focused on a re-emergence, a birthing of the new. This will begin in the subtle first (as always) and start coming into physical form over time. As the calendar year winds down, December asks us to renew and replenish within. The process of renewal is a blending of letting go and “taking” (action, decision, focus, fuel, etc.). The full flow of give and receive is a necessity in Life. Each moment may not look exactly equal, but overall we are to blend the dual nature of life, in order to “connect it” and expand beyond it. It is the nature of the physical realm that things seem separate. Connection is the antidote to separation. Not just an opposite word, but the core of Ascension. Connection is internal as you connect with yourself, amplify Love for yourself, strengthen clarity and decision for yourself. This is always blended with the external because all of these connections create a new perspective and interaction of Love with Life. Your renewal creates a strong vehicle of flow in your life. It is an honoring of your sacred needs, just as the flower will take the water and the light it needs to grow. Life is wanting you to take of it. This continues Life. Your unique perspective is valuable and cherished by Life. Areon gave an interesting exercise for focusing on opposites and finding connection in December’s video. Whenever you are creating change, it can be helpful to find ways of focusing or small actions that don’t have a lot of “gravity” to them. Where would Life be compelling you? Does Life want you to suffer? You are Life in human form. Life is unconditional, yet in this realm of conditions we have free will to choose our focus. Choice creates consequence, it is the unconditional reaction of cause and effect. As you choose, you are directing your life and Life responds. When you are feeling renewed and replenished within, you have the clarity to decide and direct your life. That doesn’t mean you control everything, you feel more fulfilled and capable. Small steps create a trajectory of change over time. Renewal is what supports the blossoms to spring forth each year. What renews you? Could you let go of some limiting beliefs about yourself or about life? Could you approach something that is challenging you with a renewed sense of appreciation for how Life is compelling you to strengthen, clarify and commit? Could you take an action toward Loving yourself in a way that bolsters your ability to Love others and Life more freely? As an empowered sovereign, you are becoming your own wellspring of Love rather than needing to control the external realm for your peace. The paradox of Life is that as you support yourself, Life supports you more and more. It gets easier for the tree to take in the water and the light needed for growth. That tree, in turn, supports more life within its strong branches. The spiral of Life—replenishing the self replenishes Life. As you are replenished, you have a renewed sense of creativity, connection and passion. Find some simple things that replenish you that you can choose from in different seasons, moods or needs. Nature, loved ones, meditation, exercise, reading, funny movies, etc. Keep your list of replenishing activities and make some time for yourself. 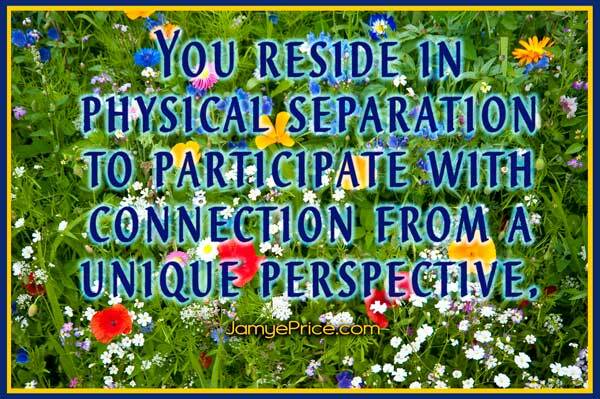 This will deepen your connection with others, and a deeper connection with others deepens your connection with yourself. Life benefits from your joy. As you renew yourself, you are letting go of what doesn’t support your Light-ness of being, and you are finding the connections that support you shining forth. When you replenish yourself, you are replenishing Life. As you are fulfilled, your connections come from desire rather than desperation. You are more able to assist others to find their renewal and replenishment. This is what amplifies Life into ever greater heights. The spiral is the promise of renewal. 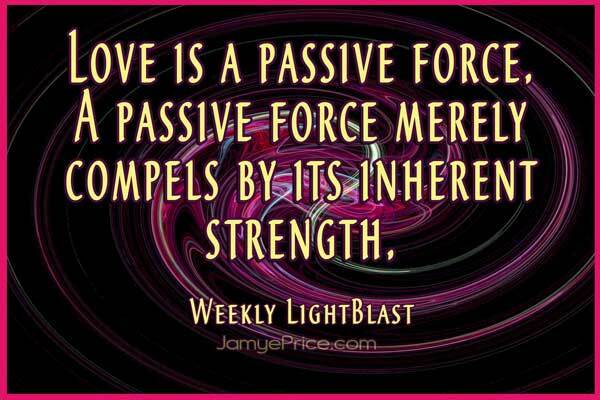 Are you ready to amplify the Love in life? It’s you.